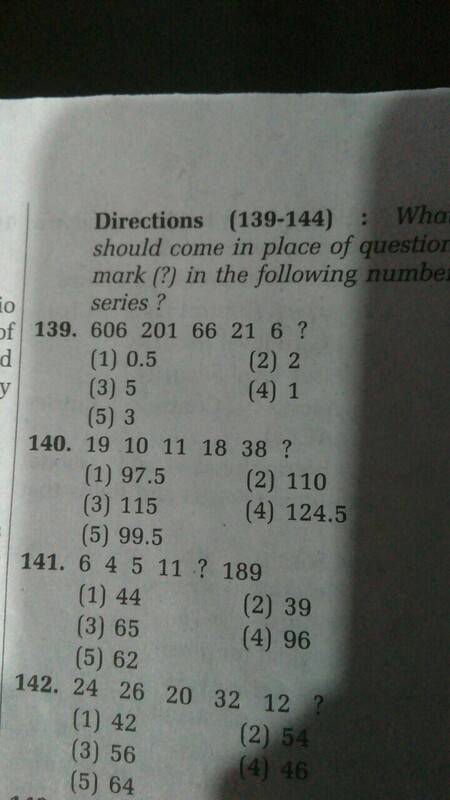 What is the next number in the sequence 19, 10, 11, 18, 38,? I got an image from a book that had this question. I can't solve it. Any hints? Each time you multiply by then add a value increased by 0.5. I know there's a more mathematical way to express this, but it's been a long time since I studied this. For any of these types of questions, there really is no correct answer. What you're doing is extrapolating, which is a bad way of looking at the values you already have (speaking from a statistical standpoint). From a mathematical standpoint, you could try to form a polynomial model to fit the values you currently have, and extrapolate the next value from it. Or the next value could just be obtained from a visual or mental pattern.